The sun was shining on Hamilton Park Racecourse as guests gathered at the gates for a day and night of fun and exciting entertainment for all the family at the Sunday Mail Highland Show Race Day. With our very own Highland Show style main arena full of incredible performances and displays, there really was something for everyone in the lead up to the racing later in the evening. With so much going on there were many highlights from the day; here are just a few of our favourites. The first performance in the Main Arena was a Highland Dancing show delivered by 6 incredible dancers from the Julie Morris Highland Dancing School. Brogan and the girls delivered a series of traditional dances on the stage to the delight of the audience. Throughout the day audiences also had the opportunity to witness some hilarious sheep and duck herding displays, as well as a brief history of the Clydesdale Horse. As well as the main arena shows there was also a series of inflatable family favourites over in our Corporate Fun Day inflatable zone including our Giant Assault Course, Disco Dome and Denver's Den Safari Adventure Playground. This and much more was available for children and adults of all ages to enjoy throughout the day and definitely inspired some laughter along the way. Later in the afternoon the main arena was surrounded by gasps of disbelief as Ben Savage took to the stage with his bike performing an array of awesome gravity-defying stunts. A falconry display then provided some breath taking entertainment for the bird enthusiasts in the audience as we were treated to some highly interactive shows. The final show of the night was an unbelievable display of obedience by Charlie and his Mordor Gun Dogs as he and his team regaled the audience with a taste of how these professional dogs are trained. In addition to the main arena attractions there was also an Animal Kingdom walk through where guests had the opportunity to meet and handle an array of farmyard and exotic creatures with our expert handlers available to offer professional insight into all of the animals on show. A Petting Zoo and Pony Rides completed the many attractions available on the day keeping the children entertained for hours. As the final horse crossed the finish line the races were over but the night was not as The Soul Kings took to the stage with an incredible live set that had everyone on their feet dancing the night away. The feel good trio made sure that each and every guest went home with a smile – whether they won at the races or not! 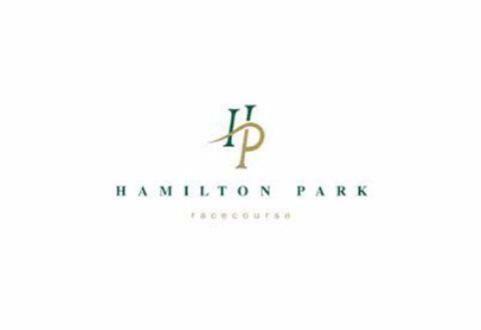 It was a pleasure for our team to work so closely with Ashley and his team at Hamilton Park Racecourse on what was undoubtedly and action packed day of family fun, and we very much look forward to what the next Super Saturday will bring. What a fantastic day! Huge thank you to Ashley, John and the rest of his team for making the day such an enjoyable one for our team as much as the guests. It was a real pleasure to work with you all for what really did prove to be a Super Saturday!